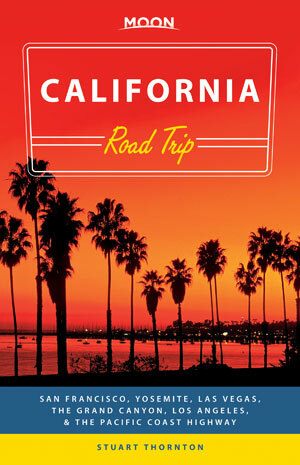 Travel writer Stuart Thornton gives you advice for the road trip of a lifetime with Moon California Road Trip. 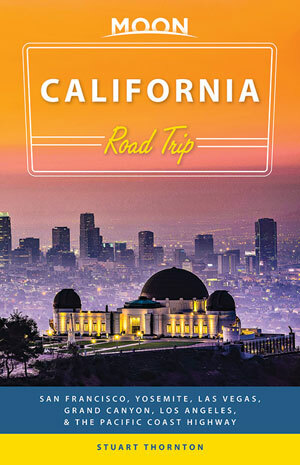 The top destinations in the West are covered in this book including San Francisco, Yosemite, Las Vegas, the Grand Canyon, and Los Angeles are within a day’s drive of one another. The guide has recommendations for the top sights, recreation, entertainment, hotels, and restaurants along with unexpected but worthwhile gems worth seeking out along the drive. Detailed driving instructions tell you how far you’ll have to drive, how long it will take, and which highways you’ll need to follow—including information on alternate routes and the best places to stop along the way. Click here to buy the book or learn more about it at Moon Travel Guides. Travel writer and Monterey resident Stuart Thornton offers his firsthand experience and advice on Monterey, Carmel, and beyond, from Old Fisherman’s Wharf and Cannery Row to the nearby areas of Pacific Grove and Salinas. Thornton includes various travel itinerary ideas, including “Big Sur to Morro Bay Road Trip,” plus a delicious wine-tasting adventure, and a special selection for water sports lovers. 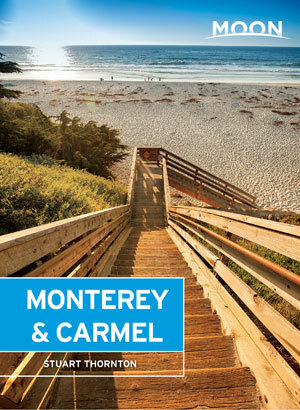 Complete with expert tips on wandering the redwoods in the Santa Cruz mountains, finding hidden waterfalls in Big Sur, and sampling the savoriest of wineries in Carmel Valley, Moon Monterey & Carmel gives travelers the tools they need to create a more personal and memorable experience. 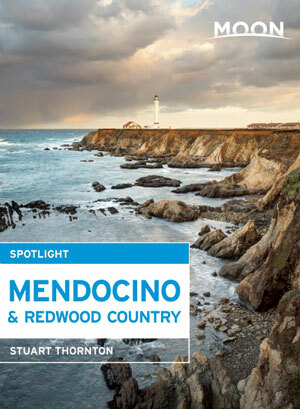 Moon Spotlight Mendocino & Redwood Country is an 86-page compact guide covering one of the most picturesque towns on the California coast and the stunning redwood forests. Author Stuart Thornton offers his seasoned advice on must-see attractions, and includes maps with sightseeing highlights so you can make the most of your time. This lightweight guide is packed with recommendations on sights, entertainment, shopping, recreation, accommodations, food, and transportation, as well as easy-to-read maps, making navigating this naturally beautiful region uncomplicated and enjoyable. 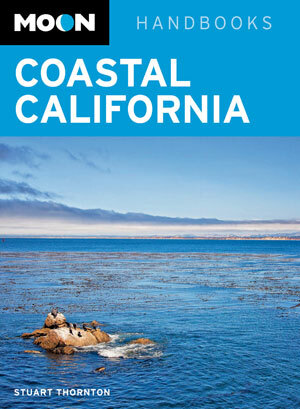 This Spotlight guidebook is excerpted from Moon Coastal California. 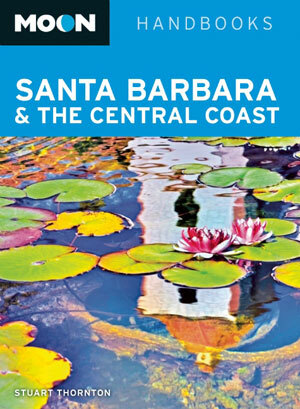 Travel writer Stuart Thornton introduces you to the best of Santa Barbara and California’s Central Coast, from Santa Barbara’s stunning Spanish architecture to Ventura’s treasure-filled thrift shops. 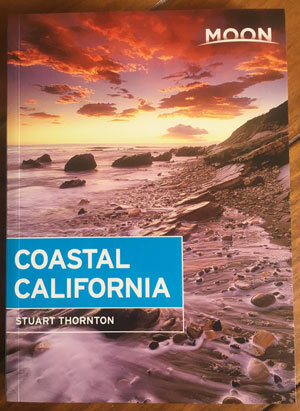 A longtime resident of the Central Coast, Thornton has plenty of unique trip strategies to offer, as well as helpful tips on the best beaches, affordable eats, campgrounds, and more. Complete with inside information on enjoying the California Avocado Festival, sipping wine at the 16 wine tasting rooms on the Santa Barbara Urban Wine Trail, and catching some rays on Pismo Beach, Moon Santa Barbara & the Central Coast gives travelers the tools they need to create a more personal and memorable experience. 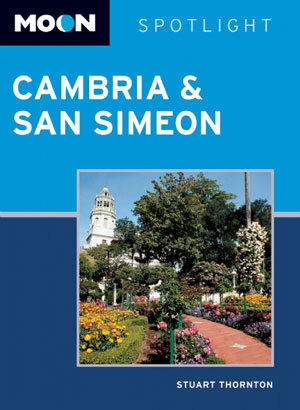 Moon Spotlight Cambria & San Simeon is a compact, 73-page guide covering the seaside town of Cambria, historic San Simeon, vineyard-studded Paso Robles, beautiful Morro Bay, and world-famous Hearst Castle. Author Stuart Thornton offers seasoned advice on must-see attractions, and he includes maps with sightseeing highlights so you can make the most of your time. This lightweight guide is packed with recommendations on sights, entertainment, shopping, recreation, accommodations, food, and transportation, as well as helpful maps, making navigating this lovely stretch of California’s Central Coast uncomplicated and enjoyable. 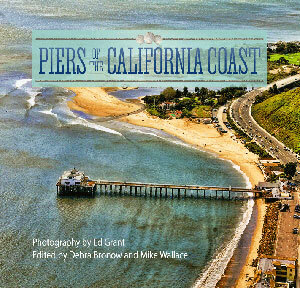 Travel writer Stuart Thornton contributed 13 write-ups on the Golden State’s piers and wharves to Piers of the California Coast, a soft-cover coffee table book spearheaded by photographer/publisher Ed Grant. His entries include informative pieces about popular piers including the Central Coast’s Cayucos Pier and the Point Arena Pier, which serves as a unique community-gathering place for inhabitants of the remote North Coast community of Point Arena. The book also features wonderful photos and essays by notable individuals including famed surf writer Sam George and pro surfer Grant Washburn. Click here to read the nice article the Monterey County Weekly did on the book. Click here to buy the book or learn more about it at the Piers of the California Coast webpage.